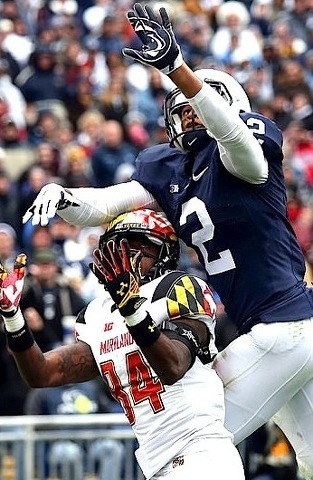 Freshman safety Marcus Allen (2) has become a big contributor to the Nittany Lions' secondary. Photo by Paul Burdick, StateCollege.com. It will be quite the experience for Penn State’s players when – not if – they go to a bowl game next month. It’s just that when the Nittany Lions get there they’ll have little bowl experience. And that’s whether they go to NYC, San Fran or some Motor City in-between. In so, so many ways if Penn State beats Temple on Saturday to become bowl-eligible, the whole post-season thing will be a learning experience for a vast majority of the squad. As in 85% of the team majority. Here’s the math: Of the 117 players on Penn State’s 2014 official roster handed out in the press box at the Maryland game two weeks ago, only 18 had played in the Nittany Lions’ most recent bowl game. That would be the TicketCity Bowl in Dallas on Jan. 2, 2012 -- three seasons ago. For almost anyone who went to the scandal-clouded, Rob Bolden-throw-the-ball-into-the-grounded 30-14 loss to Houston, it was more punishment than reward. Penn State had 24 total yards in the first quarter, trailed 24-7 at the half and allowed Case Keenum to complete 45 of 69 for 542 yards, with three touchdown passes. Bolden was 7 of 26, with three picks and a TD. Dealey Plaza was more upbeat. By contrast, of the 106 players on Penn State’s roster for the TicketCity Bowl, at least 68 of them had previously been to a bowl game. In most cases, that bowl game was the 2011 Outback Bowl, which Florida won 37-24. That’s a bowl vet tally of 68 to 18. No bluffing. It’s a lopsided ledger in any accounting and one of the starker contrasts that shows the deep impact of the NCAA sanctions on Penn State. No bowl games, no postseason experience. It’s like the Nittany Lions didn’t stay home of their own accord. An 8-4 record in 2012 and 7-5 in 2013 certainly would’ve earned the Nittany Lions bowl game invitations. Figuring on 15 allowable practices before each bowl game, Penn State is in the hole a total of 30 official practices. That’s the equivalent of two complete spring practice periods or an entire August preseason. It’s crucial learning time for a young team that first Bill O’Brien and now Franklin will never get back. That hurts Penn State where it lives and more than most. It’s well known that Penn State had the second-youngest roster among all major college teams when summer practice started. A total of 76 of the 105 players (76.4%) on the PSU roster were either freshmen or sophomores. Only Pitt, at 78.6%, had a younger preseason roster. That youth has forced Franklin to play nine true freshmen and five red-shirt freshmen for the first time at the college level. It’s also meant a lot of OTJ training, as Franklin and his staff have balanced teaching and game preparation, although not as much as you would think. “That’s the fine line,” Penn State’s first-year head coach said Wednesday night after practice. “And I think that’s kind of changing. In the old days, everyone red-shirted. You allowed those guys to kind of marinate for a year and take all of these things in. You just really can’t afford to do that so much any more. Franklin, of course, knows the value of extra time spent teaching technique instead of focusing on learning game plans. 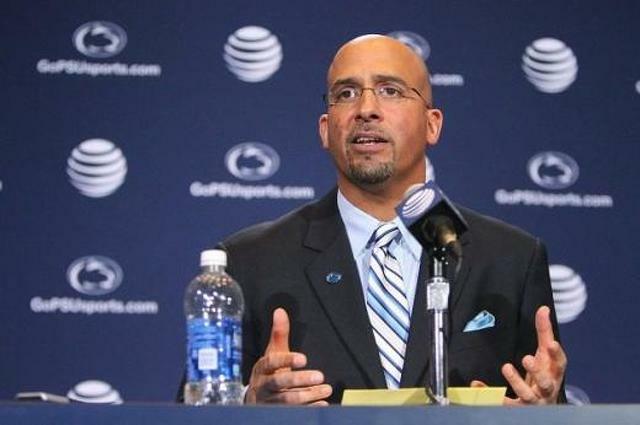 Off the field, the bowl ban has hit Penn State hard in its pocketbook. In July 2012, the Big Ten Conference said it was going to keep all of Penn State’s bowl revenue for the next four years. (The way the Big Ten works, all teams annually get a near-even share of bowl revenue, whether they go bowling or not – be you Purdue or Michigan State.) Over the past three years, Penn State has already forfeited over $6.5 million in bowl money, as the first year (2011), PSU voluntarily donated its share to charity. The Big Ten has decreed that Penn State will need to forfeit about $11.5 million more over the next two years -- $4.7 million in 2014-15 and $6.8 million in 2015-16. So, according to the Big Ten, since September it has been OK for PSU to go to a bowl game – they just (and still) don’t get any bowl money. That hurts all Penn State sports, not just football. Overall, that means Penn State has been penalized about $18 million by the conference. With Big Tens like that, who needs enemies? In light of the recent damning emails that cast the NCAA in an even worse light, Penn State has a better argument to make to the Big Ten for getting its fair share of bowl revenues. However, it most likely would need to be done at the highest levels, outside of conference headquarters in Chicago. That means Penn State President Eric Barron – who went bowling to the national championship game at Florida State last January – must make personal appeals to his 13 peers across the conference. Now, more than ever, Barron has a case that should bowl them over.